reprint, New York: Garland, 1977. 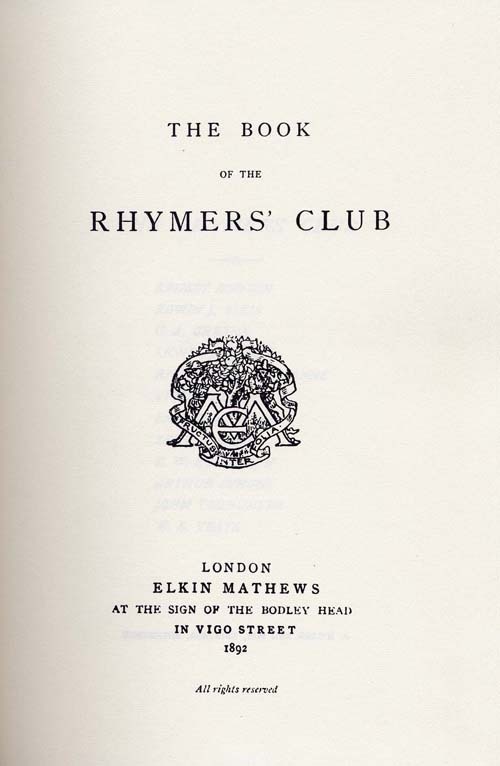 Two collections of poems by members of the Rhymers’ Club were published, one (450 copies) in 1892 and the other (650 copies) in 1894. Both were reprinted in 1977.